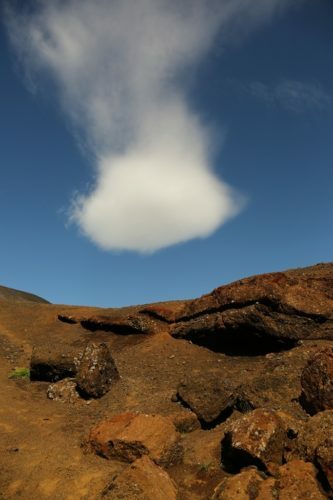 ‘Falling Cloud’ is one of Carin Roaldset’s featured photographs at Essex Library’s exhibition of her work. ESSEX — Carin Roaldset grew up on a farm in Sweden and spent years in Germany and Norway before settling in Connecticut. Her images have been featured on note cards, magazines and in Chamber of Commerce booklets and ad pieces. She is also the chosen artist for Essex Savings Bank’s 2018 calendar and has illustrated the books A Measure of Joy – Opening to the Energy of Reiki by Gary Stinnet; Here After, Poetry by Mary Volk and Letters from Cornfield Point by Sally Ann D’Aquila. Roaldset’s photographs and paintings have been displayed at juried shows at the Essex Art Association, Valentine H. Zahn Community Gallery, West Hartford Art League, and the Slater Memorial Museum’s Artists’ Exhibition. She has also had several solo shows on the shoreline. Her work can be viewed at the Essex Library throughout the month of November during its regular hours. Roaldset will be on hand for a reception that will be held at the Library on Saturday, Nov. 11, from 12 until 2 p.m.